Everyone knows about Marvel and DC’s variety of heroes and villains, but since making its return back in 2012, Valiant has quickly turned into a publisher that you need to check out! If you haven’t given them a shot yet or if you’ve only followed a few of the company’s titles, it looks like this is going to be a panel you must attend! This hour-long discussion will tell you everything you need to know about Valiant’s various titles. The publisher has received a tsunami of praise from reviewers and fans, so if you’re looking for some new material to check out, Valiant deserves your focus. Also, Valiant will begin releasing new movies in 2017, so that gives you plenty of time to start reading! Robert Kirkman’s The Walking Dead continues to be one of the most addictive, nail-biting comic books around. Since the very first issue, the series has captivated readers by fleshing out its characters and revealing how people may react if they were unfortunate enough to be stuck in a post-apocalyptic world which is full of the *ahem* walking dead. The series shows no signs of slowing down, and this panel looks like it’ll be a very insightful time for fans of the zombie series! Based on the panel’s description, it sounds like it’s very likely the panel will delve into AMC’s live-action version of the series. With season 6 just days away, we’re thinking this is going to be a mandatory experience for fans of the undead franchise. The epic HBO show based on George R.R. Martin’s fantasy novels recently concluded its 5th season. As expected, it was a total jaw-dropper. We won’t say what exactly happened if you’re catching up and trying to avoid spoilers, but the Game of Thrones season 5 finale left countless fans stunned and has produced a huge amount of speculation. So, what will happen next? While this panel obviously won’t drop big spoilers about season 6, it’s going to be full of talk about what’s to come – expect plenty of hints and teasers! The cast attending (Finn Jones, Natalie Dormer, and Keisha Castle-Hughes) will also talk about their experiences on the show’s grand sets. Frank Miller’s The Dark Knight Returns is without question one of the most well-known and praised stories in comic book history. To celebrate the limited series’ 30th anniversary, several big names from DC will take to the stage to talk all about the story. Jim Lee, Andy Kubert, Brian Azzarello, and Klaus Janson are confirmed to attend, but there’s likely going to be a surprise appearance or two. (Will Frank Miller be there?) With The Dark Knight III: The Master Race on the horizon, one can only assume they’ll discuss that upcoming title, too! After all, the panel’s description says there will be reveals and exclusive artwork! Batman fans, you’ll want to attend. Seriously, don’t pass on this one! DC’s current titles have several creative teams that are worth praising. However, one creative team has not only delivered one excellent story after another, but they’ve also continued to rack up impressive sales: Scott Snyder and Greg Capullo’s Batman! At this year’s NYCC, DC is taking some time to give Snyder the respect he deserves. 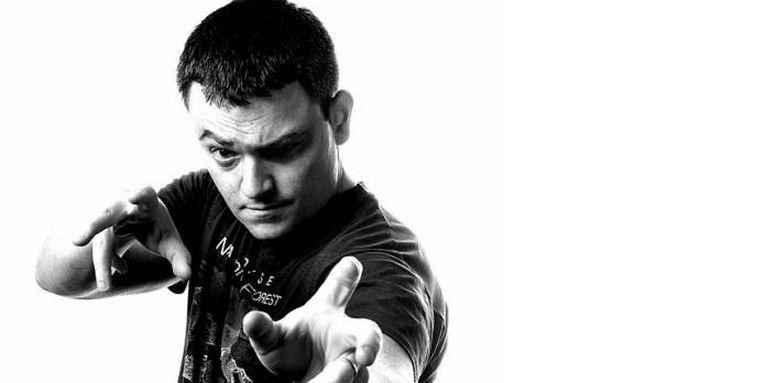 For a full hour, the writer of Batman and American Vampire – as well as several other great stories – will talk about his work with DC and Vertigo. Seeing as Snyder is always very open and extremely considerate to his fans, this panel should absolutely be on your radar! 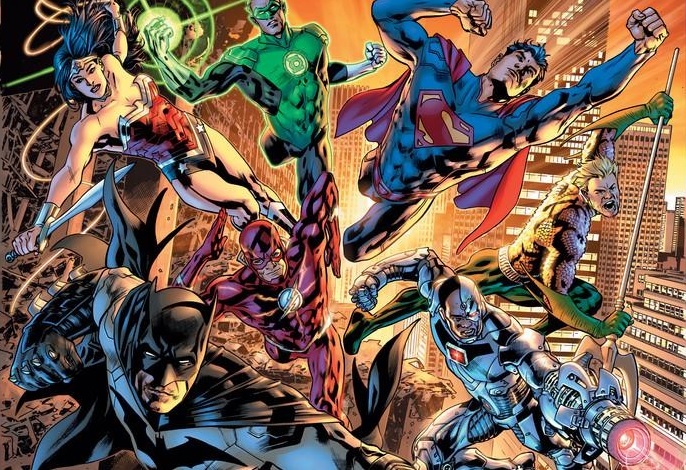 Since the beginning of 2014, Warner Bros. and DC has been building a shared universe for its animated movies. Movies like Son of Batman and Batman vs. Robin gave this new incarnation of Batman extra attention while also introducing several of his allies, including his son, Damian Wayne! Now, Batman: Bad Blood is going to put a huge spotlight on the Dark Knight’s supporting characters. Directed by Jay Olivia (The Dark Knight Returns Pt 1 & 2) and written by J.M. 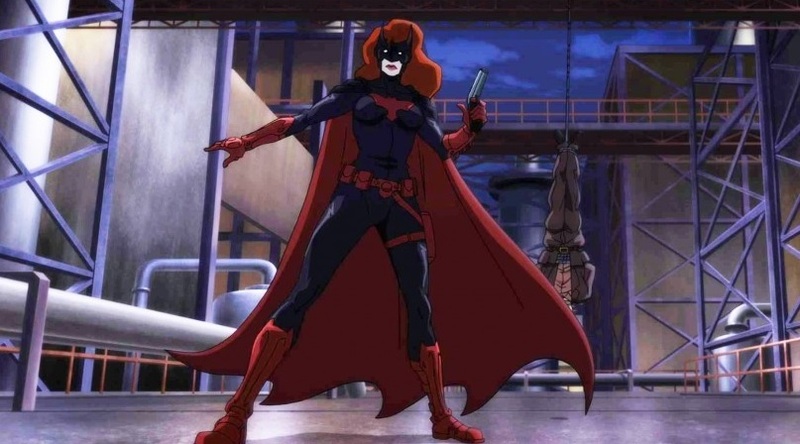 DeMatteis (Batman vs. Robin), Batman: Bad Blood will introduce animated versions of Batwoman and Batwing! Additionally, it’ll see Nightwing and Robin stepping up while Batman is missing. Bad Blood has a lot of potential, and this presentation is going to show brand new footage, too! Plus, there’s going to be special prizes. New footage and the chance to win goodies? Count us in. 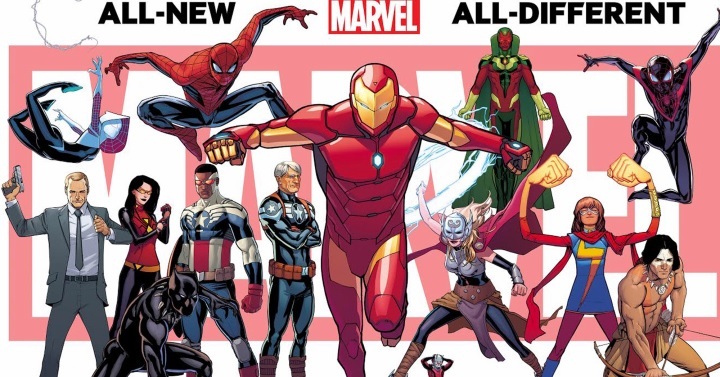 Marvel’s can’t-miss big event, Secret Wars, has completely changed the publisher’s universe. Moving forward, plenty of new titles – with all-new rosters – are going to drop. If you’re even remotely excited for the upcoming slate of Marvel’s new titles, this one’s for you (Morph)! Attending is Editor-in-Chief Axel Alonso, editors Jordan D. White and Katie Kubert, and writers Dennis Hopeless, Gerry Duggan, and David Walker. 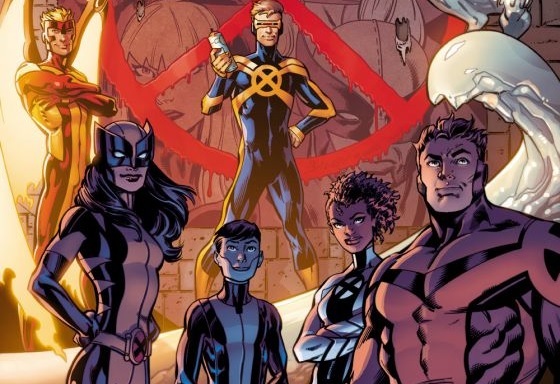 We don’t know about you, but we’re very curious to hear more about the new X-Men and the brand new volume of Deadpool. The house of ideas is unleashing a whole lot of change and this panel will be a great way to see which titles should be added to your pull list. To call the DC Universe “big” would be a ginormous understatement. Scattered across its universe are a plethora of heroes, ranging from people simply defending a city to someone fighting to save an entire galaxy. When it comes to following these brave characters, there’s several titles to choose from. So, at NYCC, DC will have multiple creators take to the stage and talk all about the various core DC titles. Greg Pak, John Romita Jr, Jeff King, Van Jensen, David Walker, and Riley Rossmo will explain whats going on with several of the awesome heroes in the DCU. If you’re already following all of these titles, this is still worth checking out because the panel is also set to show off exclusive art and make some reveals! You’ve seen Marvel and Netflix’s Daredevil, right? If the answer is “yes” (and it should be! ), then the odds are quite good that you’re feeling optimistic about Marvel’s future on Netflix. Now, the wait is almost over for hugely anticipated follow-up: Jessica Jones. At the panel, the cast of the Marvel/Netflix series will make their very first appearance together and answer questions about the upcoming comic book show. Who knows what they may announce or even show? Fingers crossed for new footage! The cast will also chat about some of the best moments from season 1 of Daredevil. We’re betting the hallway fight gets plenty of love… and understandably so! Marvel and Netflix’s work is off to a very strong start, and a you won’t want to miss a sneak peak at what comes next! If you’re a Marvel fan and you’ve been to NYCC before, then you of course know that Cup O’ Joe is absolutely, positively mandatory. The biggest selling point here is that Marvel’s Chief Creative Officer, Joe Quesada, is willing to answer a ton of questions from fans. Want to know if there’s plans for your favorite character? Have a specific question about a certain issue or a team’s continuity? Get in line and make sure you have your top question ready to go! This panel also always recaps Marvel’s big news out of NYCC and can potentially dish out some brand new announcements, too! 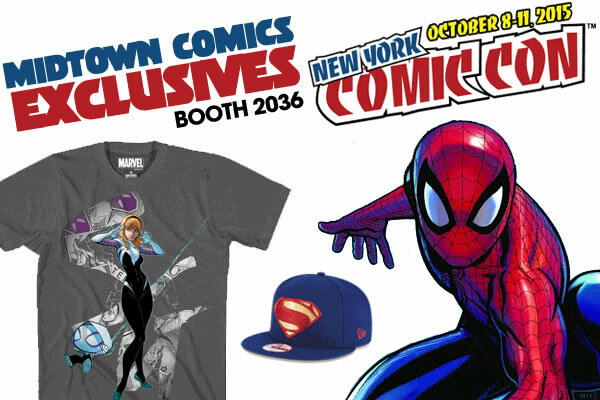 Also attending are Dan Slott, Charles Soule, Al Ewing, and Kieron Gillen. Which panels are you excited to attend? Tell your fellow comic fans in the comments!